Take note of the Player Code on screen, and then add this to your Dashboard. Once launched for the first time, TrilbyTV Player will auto-launch and start playback when the FireTV turns on. The Amazon FireTV stick allows you to use your mobile phone as a remote control. 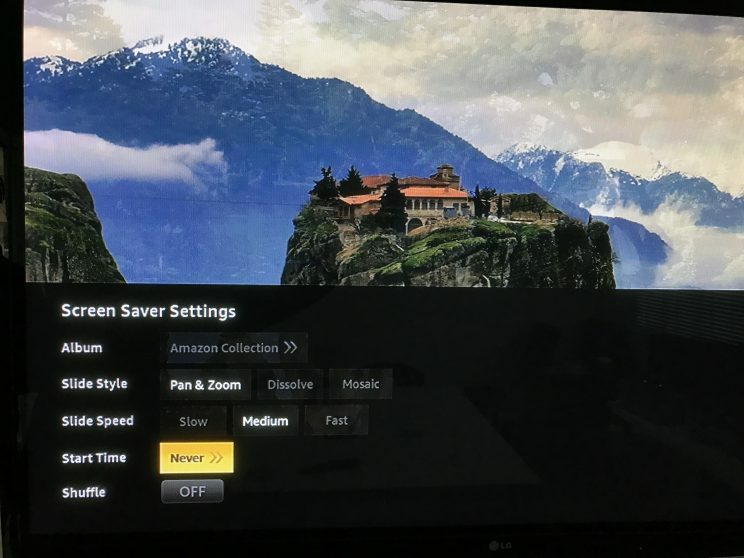 You cannot disable this, so we recommend that you put your Amazon FireTV stick on a different SSID to your main network, to avoid malicious use. Alternatively, you can enable Wireless Separation on your wireless network if supported, or configure separate VLANs. We recommend you configure Parental Controls in the Settings menu. Enable Parental controls, set a PIN, and then enable ‘Pin Protected Purchases’. For more information, see Amazon’s Help page. You should also disable the Screensaver and enable Quiet Mode, to stop any app notifications from appearing.